Contrary to the rather random speculation that recently ousted Australian PM Julia Gillard might be an addition to the candidates for the top post at UN Women, the list of nominees is in fact moving quickly in the other direction. Two candidates appear to have emerged from a field of at least five confirmed nominees. The post will be filled directly by the Secretary General based on a shortlist of candidates, pared down by his senior advisors from nominees put forward over the past two months. The final selection by Ban is expected to be announced “imminently,” according to a source who spoke with PassBlue. 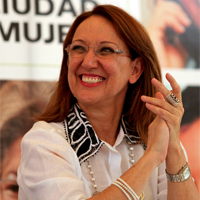 Rebeca Grynspan continues to be the rumored front-runner, likely due to strong lobbying on behalf of the GRULAC states to hold onto the post after Michelle Bachelet’s sudden mid-term resignation in March. A letter was sent on behalf of the GRULAC members to Ban strongly noting the region’s interest in maintaining the post in order to ensure geographic balance among USGs/ASGs. An official at a GRULAC mission confirmed that the Secretary General responded but made no commitments on a regional preference. Nyaradzayi Gumbonzvanda from Zimbabwe also remains a strong contender for the post. She has traveled extensively since her nomination and has been outspoken on social media on the issues of concern to UN Women. This has earned her a significant following. Her selection would likely put a more public face on the work of the organization. 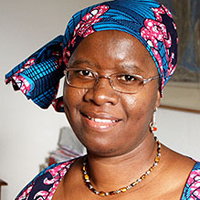 Possibly also on the shortlist is Alcinda António De Abreu, the current environmental minister of Mozambique. Her candidacy was the most recently made public, through outreach effort by the Association of Women in Development. PassBlue mentions her as a second African nominee but does not specifically note if she is still under consideration. Of the remaining five rumored nominees, only Kim Campbell had been confirmed but was always a long-shot. As a conservative head of state from the North, she doesn’t fit the profile which Secretary General was expected to seek for the organization’s head. The same expectation made Tarja Halonen an unlikely choice in 2010, and she later confirmed that she was also not a candidate for the post this year. Acting Director Lakshmi Puri also confirmed through AWID that she was not seeking the office. Radhika Coomaraswamy, former Special Advisor to the Secretary General on Children and Armed Conflict, also reported that she was unaware of her name being put forward for the post. Patricia Francis, confirmed by the Jamaican permanent mission as a candidate shortly after the deadline, is also no longer under consideration if the report on the shortlist is accurate. The new Director will assume office prior to the opening of the 68th session of the General Assembly in September, perhaps much sooner. The term of office is nominally four years, but the incoming Director will likely serve truncated 3 ½ year term, submitting her pro forma resignation to the Ban’s successor in January 2017. Whether she is reappointed to the post will be up to the new Secretary General at that time but there has traditionally been more turn-over in such posts between Secretaries General as governments jockey for position. For the most part, the names of the candidates under consideration was secured through outreach by this author and the staff at the AWID. One mission staff member closely following the race responded to questions from Global Memo by stating “you know more about this than I do.” The work of AWID is to be applauded as much as the absence of every other major women’s group is to be criticized. It is difficult to overstate the important of UN Women, both as an institution and a goal, at this time. As the important social and economic role of women and girls receives greater awareness, AWID’s outreach to the candidates provided the only widely publicized insight to the character and passion of those who would continue the vital work of UN Women. Though the four nominees interviewed did not address the selection process, their responsiveness and willingness to speak refuted the assumption that this should be a decision made behind the closed doors of the Secretary General’s office. If Ban fails to pick one of these four nominees, what will it suggest to those women and girls who themselves hope to become outspoken community leaders and advocates?